Australia, the land of Kangaroos, is considered as the best destination for people aspiring to settle abroad. Its vibrant economy, superior living standards, breathtaking landscapes and amazing opportunities have made Australia, the most sought-after destination for potential aspirants. Every year, thousands of people immigrate to Australia to take advantage of its well-balanced lifestyle and better career prospects. Australian Permanent Residency will be offered to the non-citizens who hold a permanent visa. As an Australia permanent resident, you will be allowed to reside, work and study in the country without any restriction upon immigration to Australia. Additionally, you can enjoy other benefits such as government subsidised healthcare, social security benefits and lastly, you can apply for Australian citizenship. Becoming an Australian permanent resident is not a simple task because you need to abide by the rules and regulations of the specific Australia Skilled Migration visa to which you are applying. With many Australia Immigration Visa options set out there, it is highly imperative to apply for the right type of visa subclass to attain Australia Permanent Residency. General Skilled Migration is the popular option through which you can apply for Apply for Australia Permanent Residency. It is a point based system where you need to attain minimum 60 points to migrate to Australia. Australia Skilled Independent Visa, Skilled Nominated Visa and Skilled Regional (Provisional) Visa are the few subclasses that can give you PR. Beside these, there are few other ways through which you can attain the Australian permanent residency visa, which includes receiving sponsorship from a partner or spouse or family member who is either an Australian citizen or permanent resident. And, establishing a new business or investing in an existing business also paves the path for Australia permanent residency. 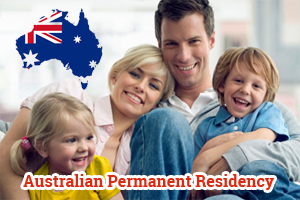 Therefore, interested applicants can choose any of the ways to attain Australian permanent residency. Would like to settle in Australia. Not getting what needs to be done to qualify 2 yrs Australia study qualification. Please suggest.